Flight+ is a beautiful tool for tracking your flights in real time. There are a few other apps that do the same but Flight+ adds that extra bit of elegance to the category. International Airport Flight Track Technologies have put in the effort of making an app that is immensely useful, intuitive and beautiful. When you launch the app you are immediately reminded of Apple’s reminders app with the textures. The airmail envelope border is a very nice touch. The app has an overlapping panes UI that is gesture driven (reminiscent of Path and Sparrow) on the iPhone and a document folder layout with tabs on the iPad to make use of the larger real estate. You can add flights by entering flight details (all optional) and searching for flights in the online database. 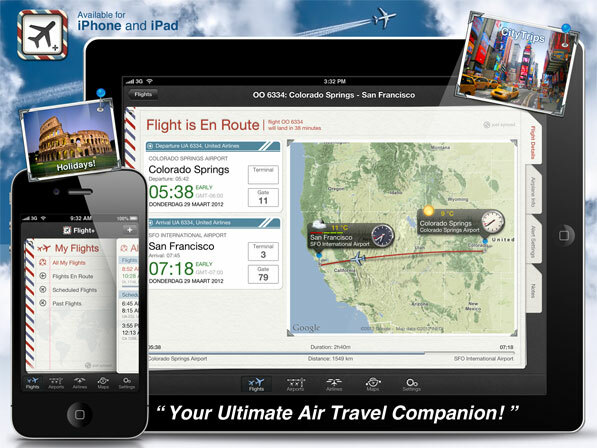 The app lets you configure alerts for the flight and shows you information about the aircraft and seating map. You can also add custom notes for each flight in the respective tab. The information available is staggering and there are flight boards for over 16000 airports. The second tab has the airport search that lets you add airports to favourites and shows you information about the airport including a beautiful flight board, 10 day weather forecast and a map that shows all flight paths from the airport. Realtime weather and local time and are displayed with each airport in the search. The feature I really liked here was the Average Delay bar that lets you know what to expect in advance. The airlines tab lets you do the same things for an airline and also see the twitter feed for that particular airline if available. I absolutely love the maps layout in this app. Each airport has a nice widget above it that has all the information available on the airport page and this is the kind of thing that makes you want to use this app more. The maps tab lets you view all your flights, favourite airports and the major airpots all over. The settings tab has some nifty features like minimal data traffic mode that saves you some data usage by disabling updates for maps, weather and images. The auto delete option removes flights after they have completed the journey. You can customize the notification settings like alerts for scheduled and actual times along with status changes. There is an option to import your flights saved on TripIt as well. 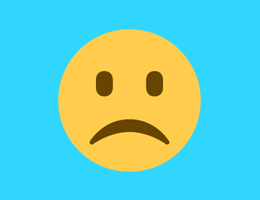 The support section has a detailed guide on using this app since it may overwhelm some with the abundance of information available. This app is easily the best flight tracking app on the App Store but as with most apps it is not perfect. I don’t like the fact that it has to be purchased separately on both the iPad and iPhone and there is no iCloud sync for flights. Flight+ outclasses similar apps by a long shot. Compared to other apps in the category the pricing for Flight+ is fine since it is available for $2.99 on the iPhone and $4.99 on the iPad. Update: Flight+ also comes in a Free version now. You can download the iPhone version here and the iPad version here. Additionally, the paid app versions are on Sale at 70% off. The iPhone version is priced at $0.99 over the weekend while the iPad version is priced at $1.99.